facilitates endless opportunities for children to think, explore and grow in a hands-on, multi-sensory environment. We provide an age appropriate, comprehensive program with meaningful learning in all developmental areas. 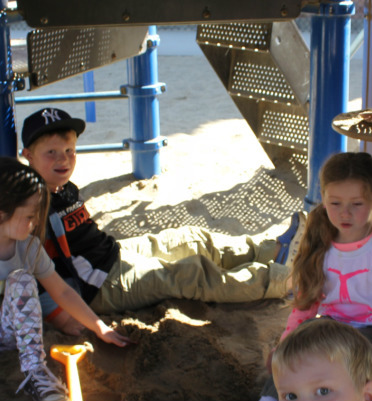 Our school provides abundant enrichment opportunities for the whole child. Our goal is to provide a safe and nurturing Christian environment where students can grow at their own developmental level within a well-rounded, play based and thematic curriculum.